Stretching beyond the cities of Whanganui to the west and Palmerston North to the east, the region offers great outdoors as well as a major university and research hub. With easy road connections to capital city Wellington (2 hours’ drive) but relatively far from Auckland (7 hours), this beautiful region is very much self-centered, focusing on local industries. 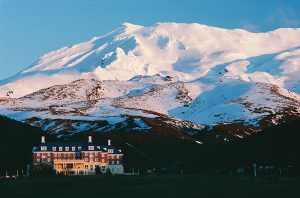 Apart from the Taranaki coastline, the region has traditionally been difficult for Māori to live and sparsely populated. Yet, almost 20% of the locals identify themselves as Māori, which is higher than the national average of 13%. European settlement started in the 1840s with Scandinavian migration founding the towns of Dannevirke and Norsewood. 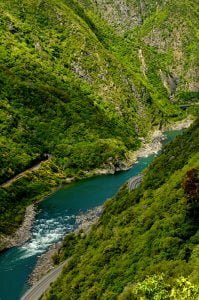 The country’s main highway and railway cut through the region’s rugged landscape, which includes the spectacular Manawatu Gorge, extensive farmland, and extensive beaches. 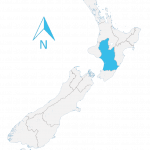 Whanganui-Manawatu -also spelled Wanganui- is a young region, partly due to the staff and students of Massey University and its associated research center , but also to a major defense personnel force at Ohakea. With its central location within the region, the student city Palmerston North (85,000 inhabitants) is also becoming a major logistics center. More laid-back, Whanganui (39,000) is the gate to the west coast beaches with great swimming, surfing, and fishing opportunities. Both on the coast and inlands, adventure tourism makes the most of the region’s fantastic outdoors. Lifestyle living is getting increasingly popular, with affordable housing by New Zealand’s standards and over 40% of the population living outside the cities. The mild climate around the coast hovers around 20-22C in summer and can go as low as 4C in winter. Temperatures further inland can be more extreme. Agriculture dominates the economy, with both scientific and conventional farming. Soils and climate are particularly favourable for farming and over 60% of the region is used for agriculture purposes. The associated agriculture research center is a major employer. The exposed coast offers the perfect location for the region’s 200-or-so windmills, the southern hemisphere’s largest farm.